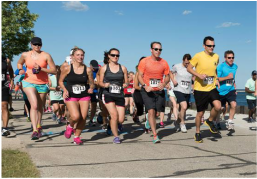 In 2018 the Run 4 Water MKE set a record with 399 participants who helped raise over $9,000! In 2017 a total of 233 participants and 63 volunteers persevered despite the frigid and rainy weather to raise over $5,800! The 2016 Run 4 Water raised over $7,000 with 214 participants and 34 volunteers! In 2015 80 participants and 35 volunteers braved the scorching heat and we raised nearly $5,000! In 2014 Milwaukee Mayor Tom Barrett kicked off the race! We raised nearly $7,000 and had 235 registrants and 50 volunteers! In 2013 we raised nearly $5,000. 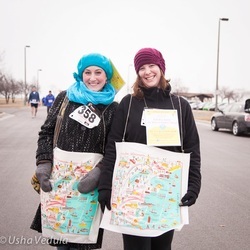 We had 200 registrants and 50 volunteers come out on a blustery spring morning to appreciate Milwaukee's lakefront and Run4Water. 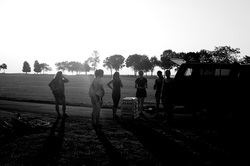 Our inaugural event took place on Labor Day in 2012. We raised nearly $2,000 and were happy to have 130 registrants and over 20 volunteers. Please look at our sponsor page for more information on how YOU can support our cause either in person or through a donation!